Shure’s MV51 large-diaphragm condenser microphone packs an integrated kickstand for tabletop use. Shure is a long-standing audio brand with a storied 90-year history. Long associated with traditional recording gear, Shure recently jumped into digital audio with it’s Motiv series of USB microphones. All three models, plus a digital interface for traditional mics, work with recent iOS devices. The MV51 is one of the few microphones with a Lightning connection that is Apple MFi-certified (Made for iPhone/iPod/iPad), which means it can be plugged directly into an iPhone or iPad without any kind of special connector or external interface. The MV51 ships with a Lightning-to-USB connector and a standard USB 2 cable. As well as iOS, it’s also compatible with Android, Mac and PC. The Lightning connection provides power to the mic. When the mic is plugged in, a panel on the front lights up, highlighting buttons to select the input mode — flat, speech, singing and two instrument settings. The different modes adjust the mic’s processing and gain. 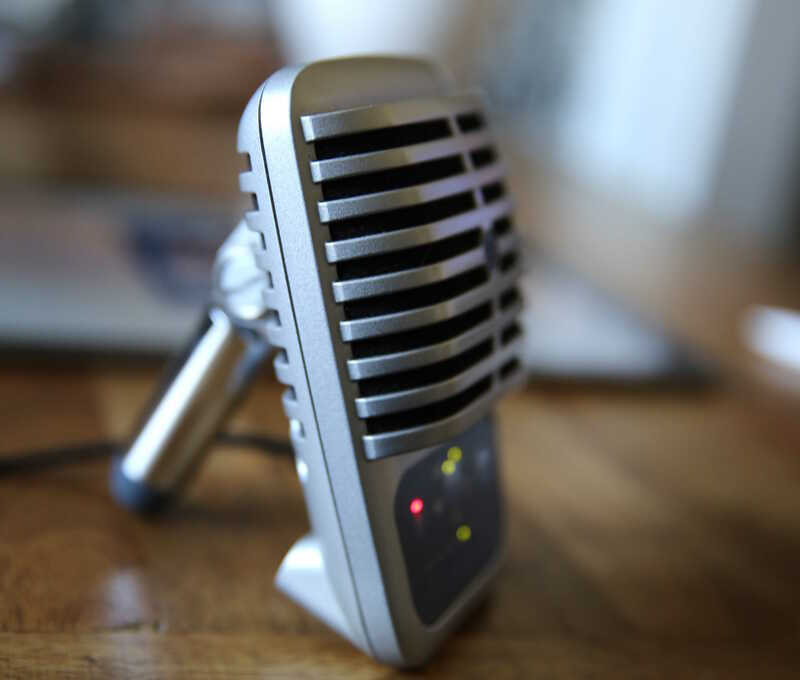 The mic has a headphone jack — essential for podcasting and monitoring recordings — and a kickstand for tabletop use. The kickstand’s rubber tip screws off to reveal a standard mic stand connector. The MV51 records uncompressed WAV files at 24-bit/48kHz. 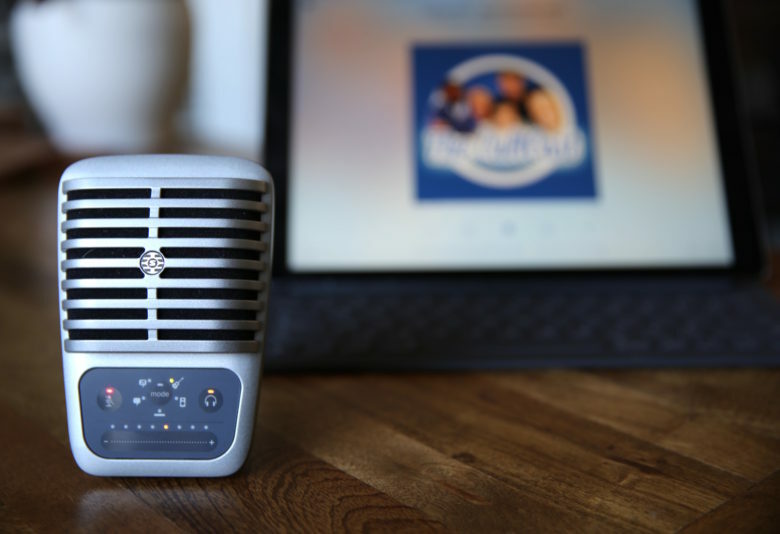 By contrast, the popular Blue Yeti microphone records 48 kHz as well, but only 16-bit. Reviewing the MV51 for Macworld, Glenn Fleischman said it is great for recording live audio. Recordings are good enough to use without any kind of post-processing. I tested the MV51 only for voice recording. I’ve used it several times to record audio interviews, including an interview for NPR, as well as Cult of Mac’s Kahney’s Korner and The CultCast podcasts. My CultCast colleagues Erfon and Buster commented on how good it sounded. Erfon, an audio snob, said it easily sounded as good as the broadcast-quality Røde USB Podcaster microphone I normally use. Price-wise, the MV51 is comparable to many other large-diaphragm mics, which cost about $200. But it also includes a DSP and iOS interface, which makes it a relative bargain. All in all, the MV51 is one of the best external, pro-quality microphones we’ve seen so far. Shure provided Cult of Mac with a review unit for this article. See Cult of Mac’s reviews policy and check out more stuff we recommend in our Best List reviews.